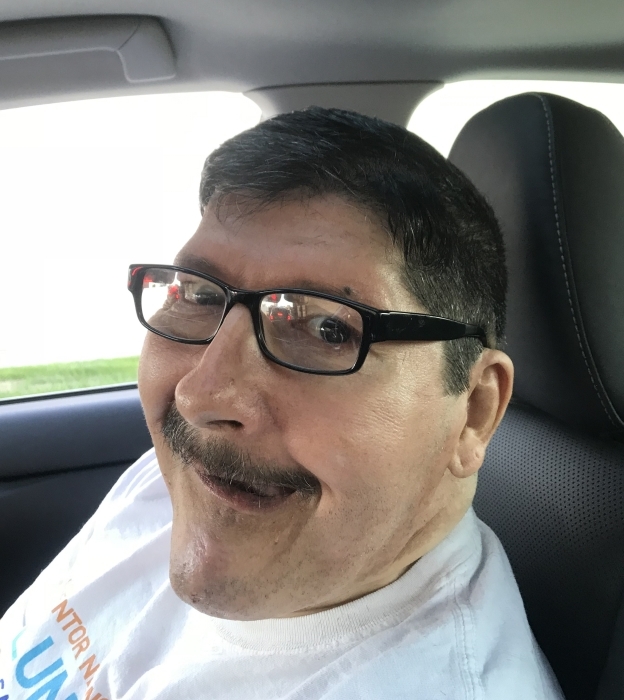 Funeral services celebrating the life of Rolando Peña, 62 of Urbandale, IA, formerly of Davenport, will be 1pm Saturday, April 13, 2019 at the Halligan-McCabe-DeVries Funeral Home, 614 Main St, Davenport. Burial will be in Holy Family Cemetery, Davenport. Visitation will be from 11am until time of service at the funeral home. Memorials may be made to the Brain Injury Alliance. Mr. Peña passed away Monday, April 8, 2019 at his home. Rolando Genaro Peña was born July 3, 1956 in Moline, a son of Jose and Barbara (Baughman) Peña, Sr.
Rolando was an honest hard-working man who lived life to the fullest. Rolando had been a restaurant manager and hairstylist. He was a great cook, baker and the “King of Cheesecake.” He loved to dance and have a beer while listening to the Peña Brothers band. He had a great sense of humor and loved animals, especially cats. Those left to honor his memory include his mother Barbara Peña, Davenport; siblings John (Penny) Peña, Davenport, Tina Olsen, Rock Island, Alicia Peña, Des Moines, Eladio and Dan Peña, both of Davenport; and many loving nieces and nephews. He was preceded in death by his father and brother Jose “Joe” Peña, Jr.